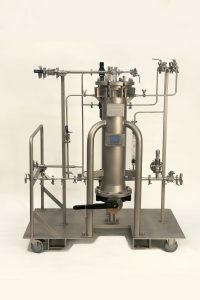 The BHS Candle Filter provides for thin-cake batch pressure filtration, cake washing, drying, reslurry and automatic cake discharge as well as heel filtration in a pressure vessel. Cake can be discharged as a dry cake, wet cake or a concentrated slurry. 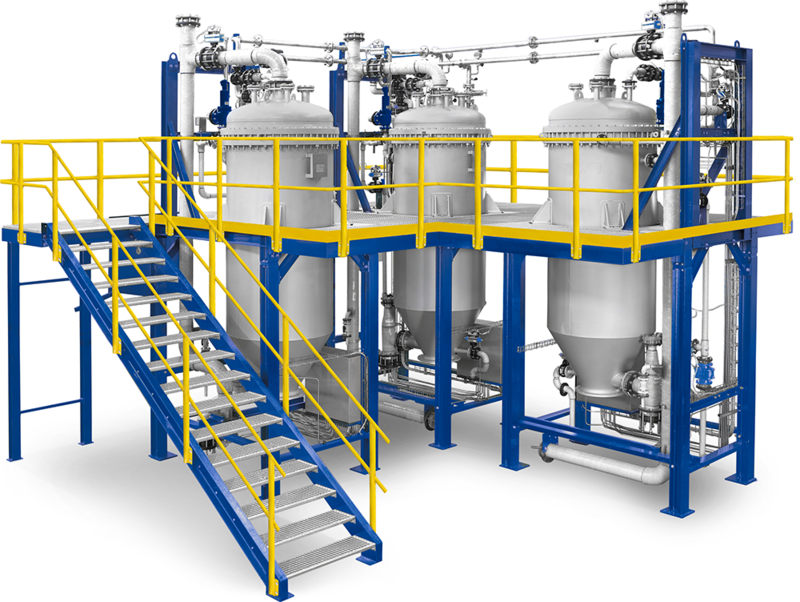 Units are available from 0.17 m² up to over 200 m² of filter area per vessel. 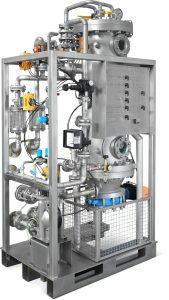 Candle Filters are installed for clarification and recovery applications from liquids with low solids content ranging from 5% to PPM levels. The BHS filter candles are designed for high liquid flow and low pressure drop. Cake discharge is performed by distribution of gas causing the gentle expansion of the filter sock. Materials of construction are stainless steels, alloys and plastics. Vessels can also be lined with EPDM, Halor, PTFE and others. The filter media is synthetic such as woven polypropylene, PTFE, Nylon, Polyester, and others. These media provide a clean removal efficiency as low as 0.5 microns. As the cake builds up, removal efficiencies improve to less than 0.5 microns. Filter aid can be used with the candle filter as a precoat and/or body feed which is beneficial sticky products or difficult filtrations.